Jesus was tragically wounded, but not every injury was visible. 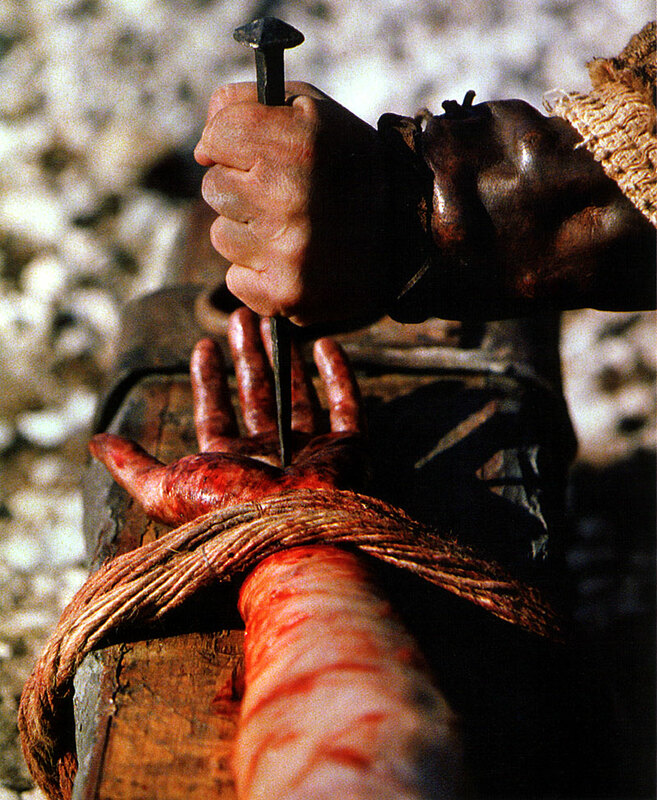 He was bruised because of our sins, but not all of his hurts could be seen. Often that is the way it is with grief. Loss is frequently an invisible wound. When the Bible speaks of the sufferings of Jesus, it is, of course, referring to physical abuse. He was whipped and spat upon. But it’s talking about more than this. It also records the verbal assaults the Savior endured. And, most painful of all, Jesus was separated from the fellowship of his Father on that first Good Friday when, for three hours, “there was darkness over the whole land” (Mark 15:33). When we think about the crucifixion of Jesus, it’s usually the scourging, the crown of thorns, or the insulting soldier we remember. But what about what happened to Jesus in the darkness? What about when the Father turned his back on his only Son, because God is too pure to look at sin? (Habakkuk 1:13). That past darkness proves that our sin, which Jesus carried, could only be forgiven one way—by God meeting his own standard. The “chastisement for our peace;” that is, the penalty that had to be paid in order for us to have peace with God, was laid “upon him.” The Prince of Peace voluntarily submitted to divine punishment so that you and I could be reconciled to God. Indeed, “All this is from God, who through Christ reconciled us to himself” (2 Corinthians 5:18). This is the basis of your healing. By his “stripes [Jesus’ suffering] you “are healed.” The healing of the breach between sinful man, and holy God, is what Jesus accomplished for you. But in accomplishing this spiritual healing, the road was paved for the healing of all your hurts when, one day, you see your Savior face to face. Until then, you “groan inwardly as you wait eagerly for adoption as sons” (Romans 8:23). In the Son of God you have a man who is more than qualified to comfort you, since he is well acquainted with grief. Though he suffered unimaginable loss, he triumphed in the end. Because of Jesus’ resurrection from the grave, and ascension into heaven, you can have confident hope that all your hurts will one day be healed in heaven. Think about the day when God “will wipe away every tear” from your eyes (Revelation 21:4).